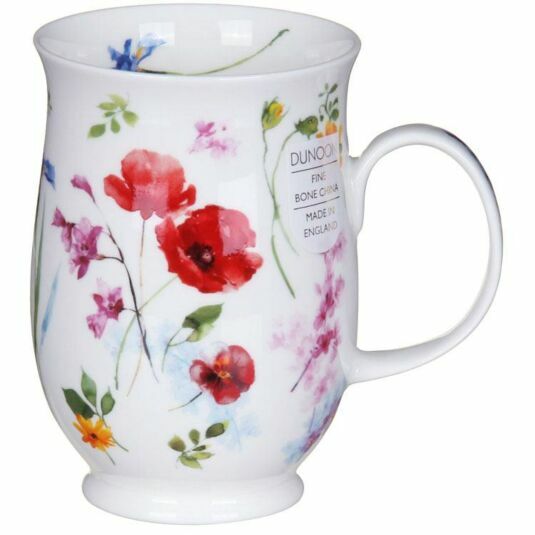 The Poppy is the main feature on this beautifully decorated mug from Dunoon, but many other floral varieties can be seen alongside it. The different flower species are all expressed in a fluid, painterly style by Harrison Ripley which will charm and cheer all year round. A lovely gift for gardeners or anyone who loves flowers. 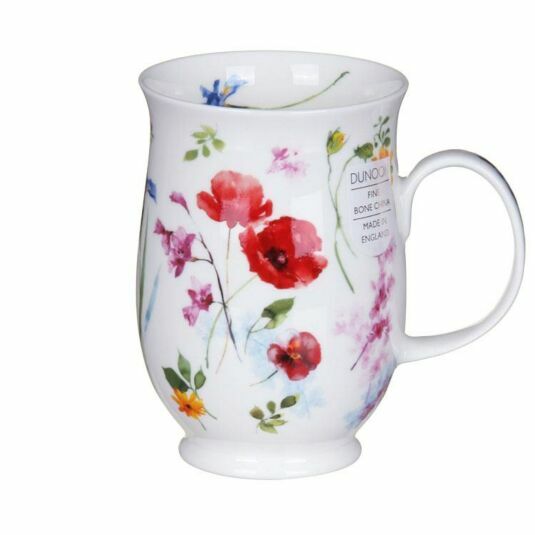 Dunoon's Suffolk shaped mugs have delicate sweeping curves, a capacity of 310ml, and tend to be decorated with delicate imagery of flora and fauna. They are all dishwasher and microwave safe, with the exception of those featuring gold embellishment.